Flaxseed is a controversial food among health-conscious people. Although it has been criticized for increasing the risk of certain cancers and other diseases, the research to date on moderate flaxseed use is overwhelmingly positive. In this article, I discuss concerns that have been raised about flax, review the evidence supporting its effects on health, and provide recommendations on how to incorporate it into your own diet. 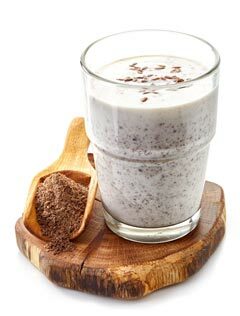 Flaxseed is also known as linseed or simply flax. The small brown seeds are often added to breads, nut butters and other foods. However, because your body can&apos;t properly digest and absorb whole flaxseed, it&apos;s best to consume it in milled or ground form. In most cases, the whole seeds seem to pass through your system unabsorbed, significantly reducing their health effects. Nutritionally, flaxseed is high in fat and fiber yet low in digestible carbohydrates (aka net carbs). 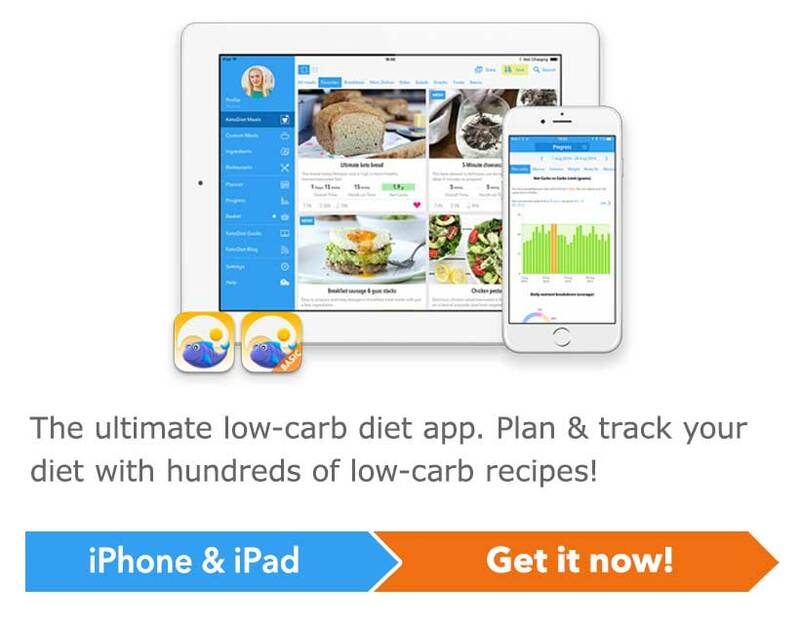 In fact, nearly all of its carbs come from fiber, making it ideal for low-carb and ketogenic diets. The main type of fat in flaxseed is alpha-linolenic acid (ALA), an essential polyunsaturated fatty acid (PUFA) that must be consumed in your diet because your body can&apos;t make it on its own. In addition, flaxseed provides more than four times as much omega-3 PUFAs as omega-6 PUFAs, which may improve your overall omega-3:omega-6 ratio. Omega-3 fats are considered anti-inflammatory, whereas omega-6 fats can be inflammatory. Most people get far more omega-6 PUFAs than they need, yet fall short on omega-3 PUFAs. Importantly, although some ALA can be converted into eicosapentaenoic acid (EPA) and docosahexaenoic acid (DHA) – the long-chain PUFAs found in fatty fish – the conversion is typically poor in most people, especially in the elderly. 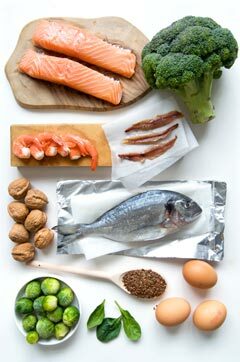 EPA and DHA are the omega-3 fats that play important roles in keeping your heart, brain and other organs healthy and functional. Flaxseed is by far the best source of lignans, a type of antioxidant found in plants. The bacteria in your colon convert these lignans into phytoestrogens, which have mild estrogenic and anti-estrogenic effects. Like the estrogen made in your body, phytoestrogens can bind to estrogen receptors, although their estrogenic activity is much weaker. Does Flax Cause Cancer and Other Health Problems? In the past, the lignans in flaxseed were believed to raise the risk of breast, prostate and other reproductive cancers due to their hormonal effects. However, the most recent research has shown that consuming flaxseed doesn&apos;t increase cancer risk. On the contrary, flaxseed may actually help protect against certain types of cancer, including breast and prostate cancer. In addition, it might improve outcomes in people undergoing treatment for cancer. Studies suggest that flax may reduce the growth of abnormal cells and increase apoptosis (programmed death) of cancer cells in breast tissue (1, 2, 3). In addition, it seems to modify estrogen metabolism in a way that favors the less biologically-active form known as 2-hydroxyestrone, which is associated with reduced breast cancer risk (4). Indeed, a growing body of evidence supports the safety of flaxseed in breast cancer patients and for preventing breast cancer in healthy women. In 2014, researchers conducted a systematic review of 10 studies in healthy women and those with breast cancer, including 2 randomized controlled trials (RCTs), considered the “gold standard” for evidence. They found that approximately 25 grams of ground flaxseed per day decreased breast cancer risk by 18%. What&apos;s more, they concluded that flax may reduce mortality risk in women who already have breast cancer (5). Rodents that were fed diets containing 2.5-10% of calories from flax showed reduced tumor growth. 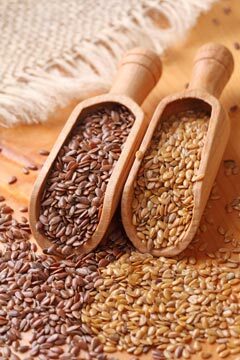 In addition, flax was found to enhance rather than interfere with the effectiveness of tamoxifen and other cancer drugs. Results from 5 large observational studies have shown an association between flax consumption and reduced breast cancer risk, especially in older women. Clinical trials lasting from one month to one year reported that consuming 25 grams of ground flaxseed daily reduced tumor growth in women with breast cancer and decreased breast cancer risk in younger women. In contrast to flaxseed&apos;s apparently protective effects on breast cancer, study results regarding soy and breast cancer risk have been mixed. Unlike the lignans in flaxseed, flavones and other phytoestrogens found in soy seem to either stimulate or suppress cancer growth, depending on dosage and other factors (6). Concerns have also been raised about flaxseed&apos;s potential to increase prostate cancer risk. Much of this concern appears to be linked to a 2004 review of several observational studies that found an increased risk of prostate cancer – although a reduced risk for heart disease – in men with higher intakes of ALA (7). First, ALA is found in many foods besides flaxseed, including walnuts, chia seeds, pumpkin seeds, soy and canola oil. In addition, the study authors stated that the association between high blood ALA levels and prostate cancer required more study. In the meantime, additional research has found that flaxseed and other lignan sources may actually reduce prostate cancer risk and improve outcomes in men receiving treatment for the disease (8, 9). In a 2008 RCT of 161 prostate cancer patients, men who took 30 grams of ground flaxseed daily for 1 month had significantly less cancer growth than the group who followed a low-fat diet without flaxseed (9). Although additional studies are needed to confirm flax&apos;s potential role in prostate cancer prevention, the most recent research has shown that - contrary to reports from earlier observational studies - it does not increase risk. Although flax appears to be safe and even beneficial for most people, including those with cancer, there is conflicting animal research regarding its use during pregnancy and breastfeeding. In addition, while most rat studies have shown a reduced risk of breast cancer in pups exposed to flaxseed during pregnancy, a few have shown an increased risk at high doses (3). On the other hand, more recent research on rats treated with flax during pregnancy suggest it may improve the health of their offspring, including decreased risk of obesity, lower blood pressure, and better arterial health and brain function (11, 12, 13). Based on the mixed results of these animal studies and a lack of research in pregnant women at this time, it may be best to limit flax to occasional small doses during pregnancy. Flaxseed has been criticized for jeopardizing thyroid health. Flax contains compounds called cyanogenic glycosides that combine with sulfur to produce thiocyanates. 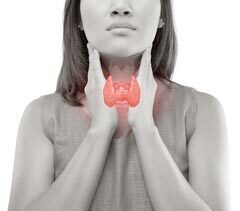 Excessive levels of thiocyanates can negatively affect thyroid health by interfering with iodine, which plays a crucial role in thyroid function (14). However, even large amounts of flax haven&apos;t been shown to increase levels of thiocyanates in the body. In one randomized controlled trial (RCT), 80 adults consumed a diet containing 20% of calories from ground flaxseed and a control diet for 4 weeks each. After each diet, their thiocyanate levels were similar and well within the normal range (15). For reference, a 20% flaxseed diet would include about 60 grams of ground flaxseed (8.5 Tablespoons) on a 2000-calorie diet. Although there isn&apos;t much formal research exploring flaxseed&apos;s direct effects on thyroid health, there are many anecdotal reports from people with thyroid disease who have experienced no side effects with moderate flax intake. In fact, it&apos;s possible that flax may even lead to improved thyroid function in some individuals. In one case, a 38-year-old woman developed Grave&apos;s disease (autoimmune hyperthyroidism) after giving birth to her fifth child but experienced full remission following the addition of flaxseed to her standard medical treatment. She had a decrease in thyroid-stimulating hormone (TSH) levels after reducing her flax dosage, indicating the disease was worsening. However, a second remission occurred after she resumed flaxseed supplementation following the delivery of her sixth child. Although flax likely wasn&apos;t completely responsible for her recovery, its anti-inflammatory effects may have played a supporting role (16). Another concern regarding flaxseed is the effect of lignans on fibroids, benign growths of the uterus that are fueled by estradiol and progesterone. Although research is limited, case-control studies have found that consuming foods high in lignans has no effect on fibroid growth and may even decrease fibroid risk (17, 18). In a study of 170 women with fibroids and 173 healthy controls, those with the highest lignan intakes were found to have a significantly reduced risk of developing fibroid growths (18). In addition to potentially decreasing cancer risk and reducing inflammation, flaxseed may provide several other beneficial health effects. Flaxseed may help relieve hot flashes and other symptoms during and after the menopausal transition. There is a lot of anecdotal evidence supporting this. And although study results have been mixed, all have concluded that flaxseed supplementation is safe for this purpose (19, 20, 21, 22). In a 6-week pilot study of 30 menopausal women, taking 40 grams of ground flaxseed per day reduced the number of daily hot flashes by an average of 50%. Adverse effects were largely GI-related, including bloating and diarrhea (19). This was a fairly large dose of about 6 tablespoons per day, which would be expected to cause some GI symptoms in those who aren&apos;t used to consuming a lot of fiber. However, when the same research team conducted a 12-week RCT in 188 women, those who consumed a bar made with flaxseed every day had only a slightly better reduction in hot flashes compared to those in the placebo group who consumed a high-fiber bar without flax every day (20). In another RCT of 90 menopausal women, the flaxseed group experienced a greater decrease in hot flashes and other menopausal symptoms than the control group. 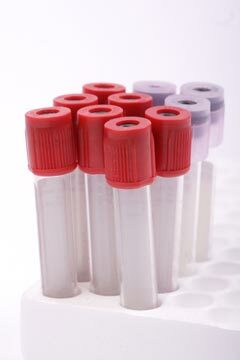 In addition, they didn&apos;t experience any negative changes in endometrial thickness, vaginal lining or hormone levels (21). 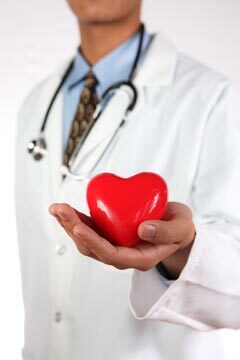 The lignans and omega-3 fatty acids in flaxseed seem to have several protective effects on heart health. Studies have linked them to improvements in LDL cholesterol and particle levels, lower blood pressure, and reduction of inflammatory markers (23, 24, 25, 26, 27). In a 2014 RCT, 50 adults with elevated cholesterol took 30 grams of flaxseed or a placebo for 3 months. By the end of the study, the flaxseed group had significant improvements in all lipid levels and blood pressure values compared to the placebo group, leading to a substantial reduction in cardiovascular risk. In addition, they lost nearly 5 pounds without consciously restricting calories compared to a loss of less than one pound in the control group (27). Perhaps one of the most well-known effects of flaxseed is its effect on bowel function. Overall, animal and human studies suggest that flax seems to improve both constipation and diarrhea, depending on what a person&apos;s system needs (28, 29, 30, 31). One 4-week study in healthy young adults found that consuming 50 grams of flaxseed daily led to a 30% increase in bowel movements per week (31). Here are a few recommendations for adding flaxseed to your own diet. Purchase organic flax seeds whole, store them in the fridge or freezer, and grind them in a coffee grinder or food processor just before using them. This helps protect the delicate omega-3 PUFAs from going rancid when exposed to heat or air. Ground Flaxseed or Flax Meal? Don&apos;t be confused by different terms in recipes. 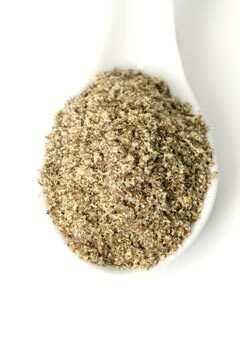 "Milled flaxseed," "ground flaxseed" and "flax meal" all refer to seeds that have been finely ground. In order to minimize GI side effects, it may be best to start with 1 or 2 teaspoons of flaxseed and gradually work your way up to about 2-3 Tablespoons (14-21 grams) daily, which is well below the 50 grams considered safe (32). If you&apos;re already eating chia seeds and other high-fiber foods, you may be able to tolerate the goal dosage right away. Like other foods high in omega-3 fats, flaxseed can cause blood thinning, although research has shown that this typically doesn&apos;t happen to the extent once believed (33). At moderate intakes, flax is unlikely to cause excessive bleeding in healthy people. However, if you take aspirin or are on anticoagulation medication such as Coumadin, make sure to discuss flaxseed with your doctor before adding it to your diet. I wrote this article to discuss the research on flaxseed and hopefully alleviate your concerns about using it if you&apos;re already doing so or considering it. 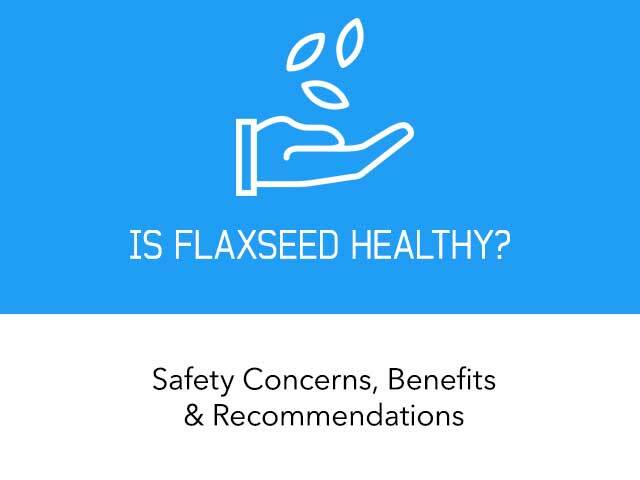 Based on the results of older and especially recent studies, I believe that flaxseed is safe and provides neutral or beneficial health effects. My own regimen includes taking 2-3 Tablespoons of ground flaxseed every day. I typically sprinkle it in Greek yogurt or cottage cheese and add cinnamon, chopped nuts and a little bit of sweetener. I&apos;m 50 years old and began having hot flashes a couple of years ago when I started going through menopause. At the time I ate flaxseed sometimes but not daily. Once I started having flaxseed every day, my hot flashes became markedly less frequent and intense. When I haven&apos;t taken flaxseed for a few days while traveling, I definitely notice an increase in hot flashes and feel much warmer in general. I also have hypothyroidism, which is controlled with medication. I haven&apos;t seen any adverse changes in thyroid hormone levels or function since I began taking flaxseed daily. In fact, I&apos;ve had only positive results. As with many things in nutrition, responses to flaxseed may be highly variable. Not every woman seems to get the same relief from hot flashes as I do, although many have reported similar improvements. Groups who may need to avoid or minimize flaxseed include pregnant women and those on anticoagulation therapy. In addition, there may be certain digestive disorders or rare medical conditions where flaxseed consumption would be contraindicated. Therefore, it&apos;s important to speak with your doctor or medical provider if you are being treated for such a condition prior to adding flax to your diet. Whether or not to consume flaxseed is a personal choice. The benefits may be minimal in some cases and significant in others. At any rate, consuming flax in moderation is safe for most people. I will do a daily soup before I start to work. I put in vegetables (cabbage normally), boullion, and other spices. I will throw in flax meal at the end after it is done in the microwave. When I put tuna fish in there, I find the flax meal helps to offset the fish taste of the tuna fish. Thank you for the handy summary. I was just hoping to find out your thoughts on (or if you knew of any evidence to support) the stability of flax meal in baking, considering it should be kept in the fridge? Thanks so much for this well-researched article! Thank you for this article. Where are the references you site for the research? I don't see a corresponding list of the citationstesearchnstudies. Hi Shell, all references to studies are listed in parenthesis where relevant (click on any of the numbers). I hope this helps. Great summary of ground flax seed Franziska! Thanks for pulling together reports and summarizing them in an intelligent way. Glad to see that you also provided references for the studies you reviewed. Finally a well-balanced view of the flax issue. I've been going through menopause and adding flax to my smoothies has made a big difference. 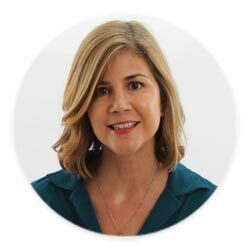 Almost no hot flashes and thanks to keto I can finally maintain my weight! Thanks for the great well researched article. This is great...super insightful and you hit both sides of the coin with flax. I'm a big fan of flax and I notice it helps me. Everything should be done in moderation though and even take small breaks from certain foods and supplements. May I ask what you take for your hypothyroidism? 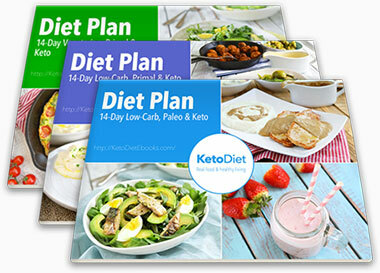 I was recently diagnosed and taking Synthroid but looking for better ways to deal with it on a keto diet. I don't prefer taking the Synthroid because it must be taken separately from many vitamin supplements. I take Armour, which is desiccated porcine thyroid extract. However, it also needs to be taken separately from vitamin and mineral supplements.